Mickey topo, mouse in "Get a Horse" Poster. 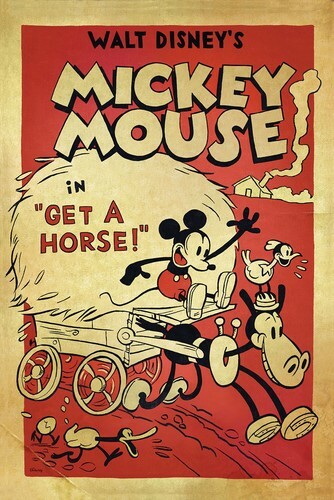 Never-before-seen Mickey topo, mouse short “Get a Horse!” is making its world debut at Annecy animazione Festival in Annecy, France.. HD Wallpaper and background images in the Disney club tagged: mickey mouse get a horse animated short walt disney. This Disney photo might contain anime, fumetti, manga, and cartoni animati.